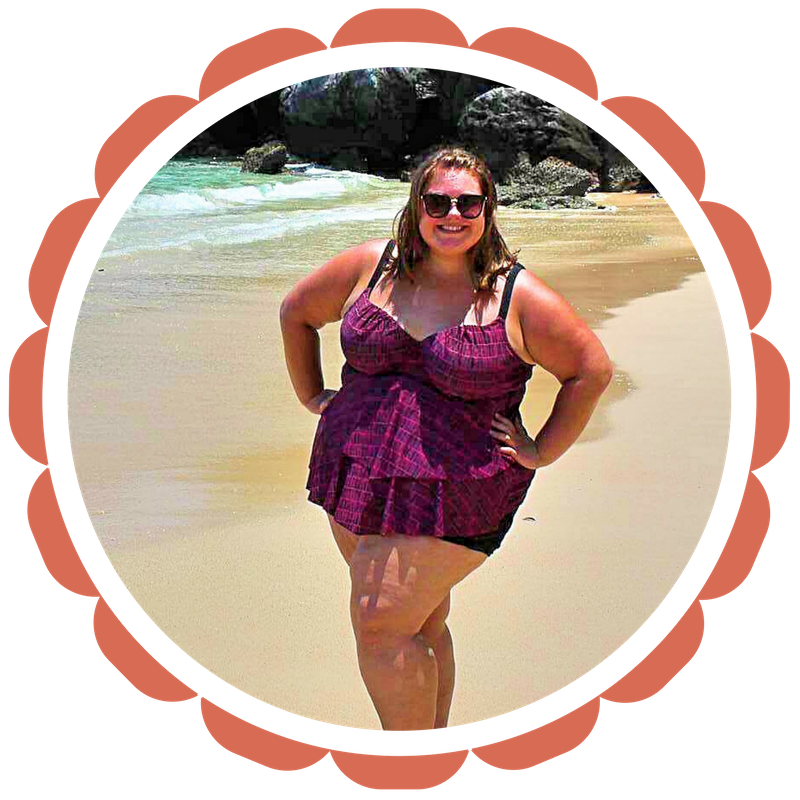 I’ve been conflicted about using this blog to talk about how I struggle with my weight, as it’s always been about travel and being confident in my body. I also felt like I’m sooo behind in posting about my trip that I needed to catch up before writing about what’s currently happening in my life. Then I realized, this is my blog. I get to post whatever I want to write about. You, my amazing readers, choose whether you want to follow me. So here’s to no longer limiting myself. Breaking free of “some day, one day” for me will absolutely include my journey with health, so you’ll see me posting about my journey both on my blog and on my business group on Facebook. On Monday I started a new 90 challenge taking on my health, and I’ve been quiet about. Given that I have a track record of sharing alllll about my journey, I wondered why I was hesitating posting this time. Today, thanks to an awesome call with a friend, I realized what was in the way. And here’s the thing. I know how to lose weight. It takes commitment, determination, vulnerability and a willingness to confront the emotional stuff. It’s working with my doctors to manage my PCOS in an empowering way. That part I’ve got. What I don’t know how to do is MAINTAIN a healthy lifestyle. I have no proven record there, and a long list of proof that my default is to fill my schedule with everything but time for cooking and exercising. What I’ve been unwilling to deal with is that I’m not happy with my health. I know my body craves being physically fit again. I am grumpy and frustrated when I turn to binging to deal with my emotions. I have really big goals in life, and that requires a level of vitality that I currently don’t have. I want to be REALLY clear! This is not coming from a place of hating my body and thinking I need to be a particular size. Bodies come in all sizes, and regardless of what a person weighs, they are deserving of love and acceptance. I want women to be confident in themselves and not wait to live life until “insert reason.” This is not about dieting. In fact, I think the best gift we could give the world is get rid of dieting altogether. Imagine a world where women aren’t spending all their time worrying about their looks and feeling guilty. There’d be a whole lot of time and energy to DEAL with the issues we are facing as a global society. Pretty sure we’d all be healthier as well. I’m not truly living life the way I want and it bothers me. Those in my daily life know that I have NOT wanted to talk to anyone about this. I shut down any person who tried to ask me about it with “I learning to love my body as it is now.” Again, note to self: defensiveness usually means something’s up that you may want to look at. Just saying. These last two weeks, I’ve been coming to grips with is what it looks like to truly loving myself and my body. I’ll tell you what it’s not… it’s not me turning to sugar to soothe my emotions and not making the time to exercise. That is punishing my body. Enter this awesome new program that Epicure gave us consultants for free. I’ve got a team of people around me to support me and a kitchen full of tools that will help me succeed. What if I can’t do it? What if I regain it all again? What if my life becomes all about losing weight, and not living authentically? Why put in all this effort, if in 5 years from now, I’ll be right back here? What will it mean about me? Meredith helped me realize a few days ago that these thoughts may always be there. It’s part of being human, and I truly believe it’s what I’m meant to face, so I can give back. It’s my responsibility to not let these fears stop me or to use them as excuses to not act. Can I be comfortable in the not knowing? Accept that I don’t have to know all the answers yet? Trust that I will have them when the time comes? Trust that maybe I don’t need answers at all, and just a willingness to lean into the discomfort? The answer is a hesitant yes. I don’t LIKE not knowing. But I can absolutely be ok with not liking it and taking action anyway. So what does action look like in my life? It looks like following clean eating guidelines and the Good Food Real Results Program in my life. It looks like calling a friend to say “I WANT ALL THE CAKE!” instead of just eating the cake. It looks like leaning on the people around me for emotional support as I look at what’s at the root of my ever-evolving relationship with food. It looks like reminding myself this isn’t about needing to be perfect. It looks like being 100% totally unapologetic ME! Now, where’s my veggie spiralizer? Time to get prepping! Want to stay up to date on my journey? Add your email to the “Stay in the Loop” section to the right or join me in my Kitchen Inspirations facebook group, where I’ll be sharing about this on a more informal, regular basis. Hi, I'm Susie! Welcome to my travel blog. Join me as I travel SE Asia and reconnect with myself - body, mind and soul! Enter your email address to get a notification each time I post.